Je suis prest in Skipness Chapel graveyard. Skipness or Kilbrannan Chapel is a short walk from the beach at Skipness Point on the Kintyre peninsula. 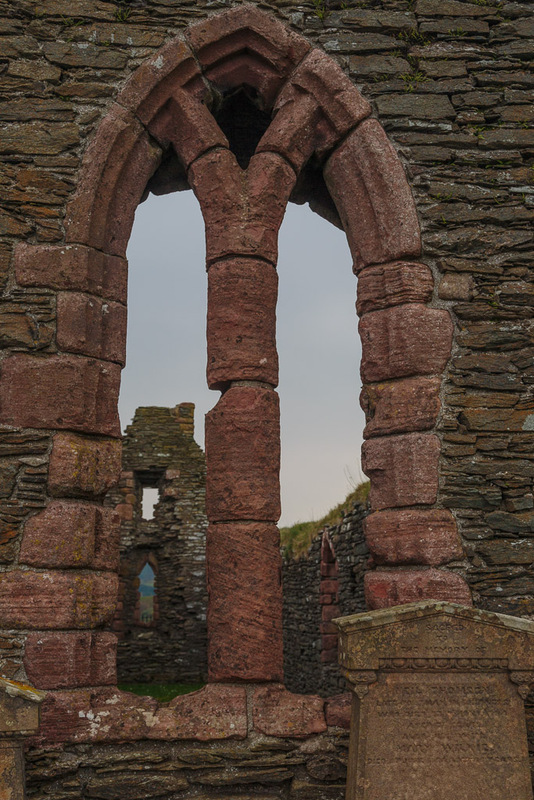 The chapel dates from the 13th century though details like this lancet window in old red sandstone probably date from later. It was dedicated to St Brendan (Kilbrannan means church of Brendan). 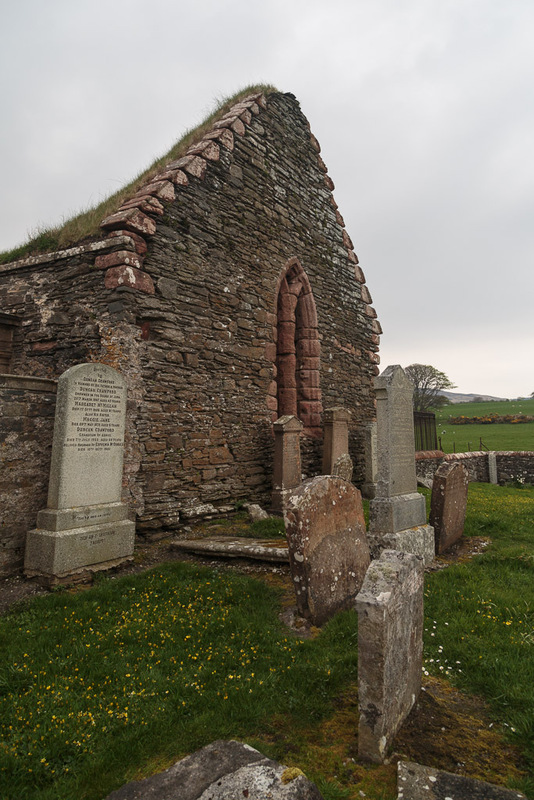 The chapel was abandoned for regular worship in the 18th century but the graveyard is still in use. 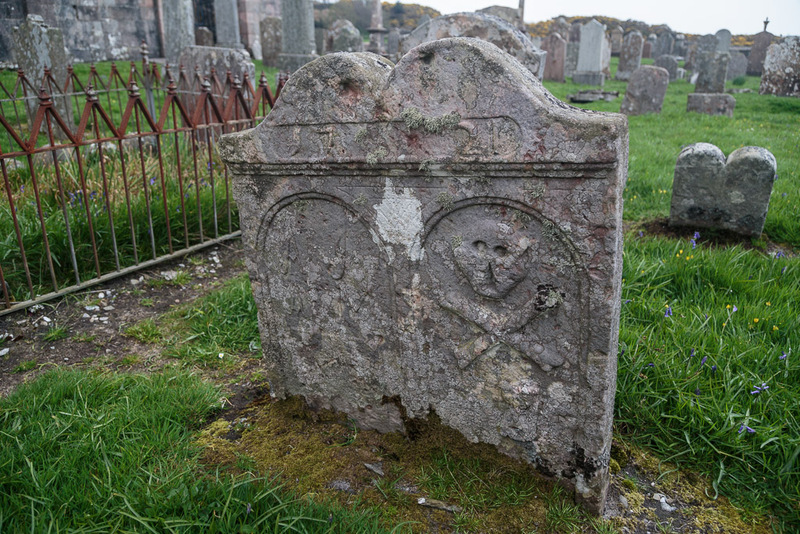 ...the older grave stones date from the early 18th century. 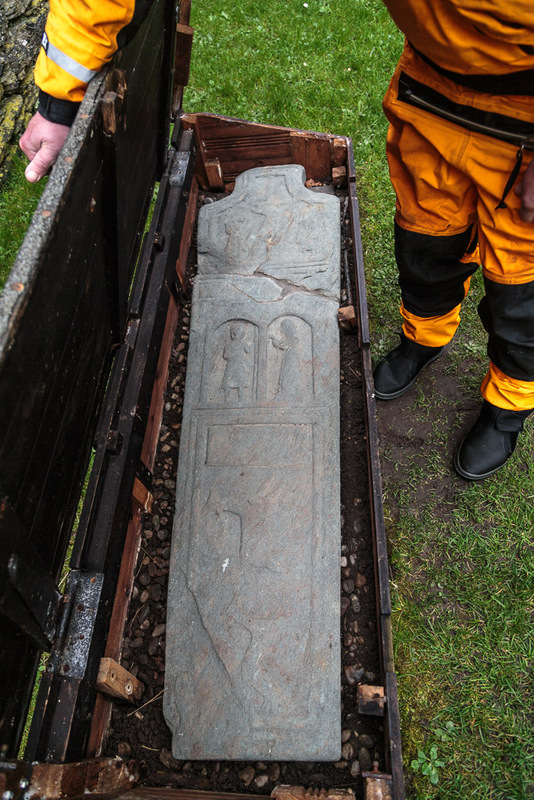 This one was erected in 1710 to the memory of Archibald JOHNSTON sailer and Agnes McMILEN his spows. 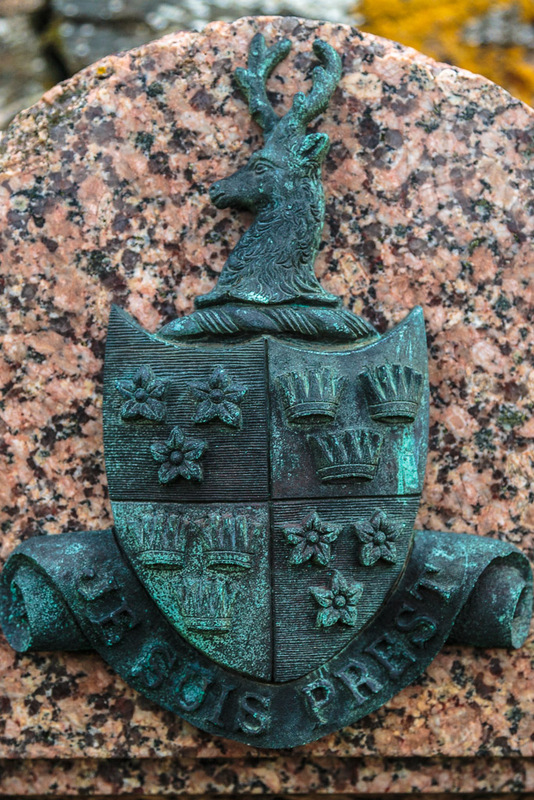 Later stones date from the late 19th century like this Fraser stone with the clan crest and motto "Je suis prest". This translates as "I am ready" which is rather appropriate on a grave stone. 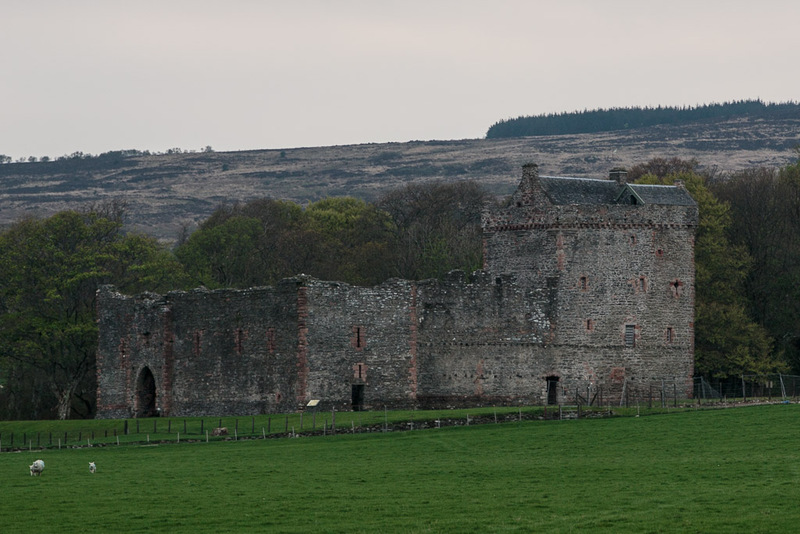 As we left the environs of the chapel we looked over to Skipness Castle which also dates from the 13th century. 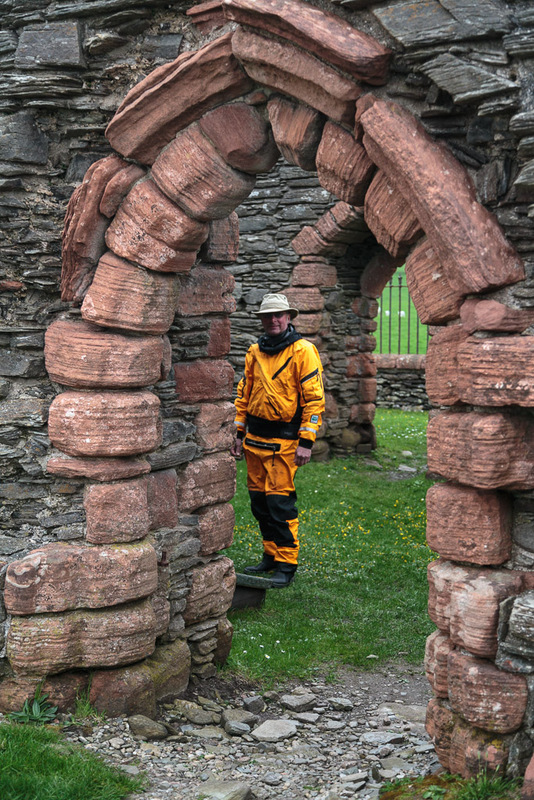 The oldest parts were built by Sven the Red, a Viking who founded the McSween clan. The castle is open to the public but time was getting on, so we made our way back to the boats.